Schmaltz's spicy mustard is a little on the wild side. 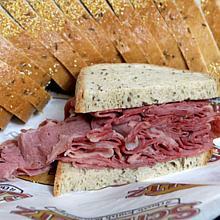 It is the classic condiment for your corned beef or pastrami sandwich. Makes a great dipping sauce, too! Delivered to you in a 16 oz. jar. Mustard - Spicy, 8 oz. has been added successfully to your wishlist. You're no shmendrick. You're a little daring. You're a little wild. You like a mustard on your pastrami sandwich that will give you a little kick in the pants and will make you shvitz a bit. Well, look no further! 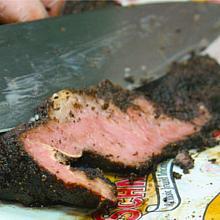 Schmaltz-recipe spicy deli mustard is that spicy, zesty taste you've been craving. But this mustard's not only good for spreading on your favorite sandwich. How about dipping pretzels in it or using it as a unique ingredient to add a little more flavor to your dips and salad dressings? Oh, and don't forget to add it into your potato salad or egg salad. Everyone will be kvelling over your delicious recipe. There are currently no reviews for Mustard - Spicy, 8 oz., but you can be the first!